Hit the road. 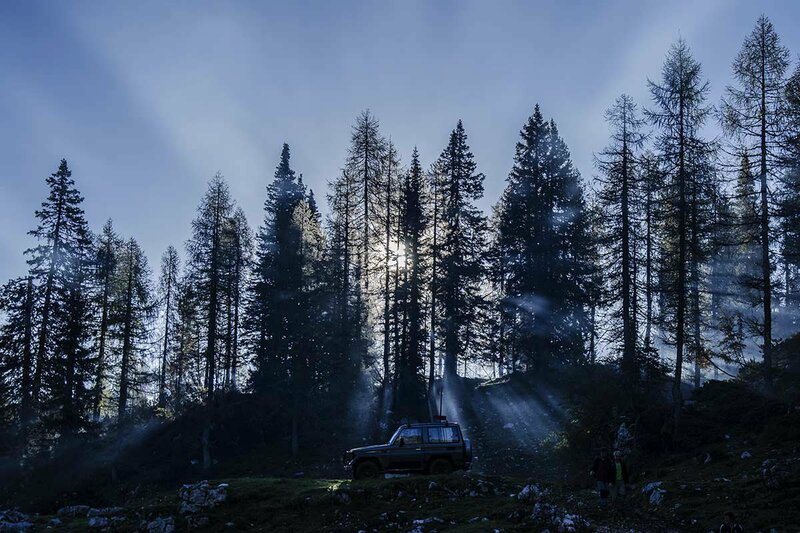 Photo by Ales Krivec. Get out of the city and into the great wide open. Pack up and hit the highway with this list of weekend road trip destinations in the western part of the United States. Are we there yet? Photo courtesy of Camelback Mountain. If you're in the mood for time travel and extreme landscapes infused with extreme kitsch. Route to take: Tour Route 66 between Albuquerque and Flagstaff, the longest remaining stretch of the historic highway uninterrupted by a major interstate. The landmark Wigwam Motel is cozy and an hour away from the Petrified Forest and the Painted Desert. If you're in the mood for a divine spa escape with endless views of the desert. Route to take: It's less than half-an-hour by car from the center of Phoenix. Good to know: Reserve a casita at Sanctuary at Camelback Mountain. Seven spectacular mountainside homes, complete with games rooms, secluded pools, and guest houses are available to those looking for the ultimate private experience. Indulge in a variety of Asian-inspired treatments, take fitness classes amid a glorious red-rock landscape, or enjoy haute cuisine at the restaurant Elements. If you're in the mood for approachable wilderness, refined comfort, and cacti taller than you. Hike Pinnacle Peak then end up at Proof Canteen at Four Seasons, one of the best restaurants in the area. Route to take: From Phoenix, take E McDowell Road through the Desert Botanical Garden. 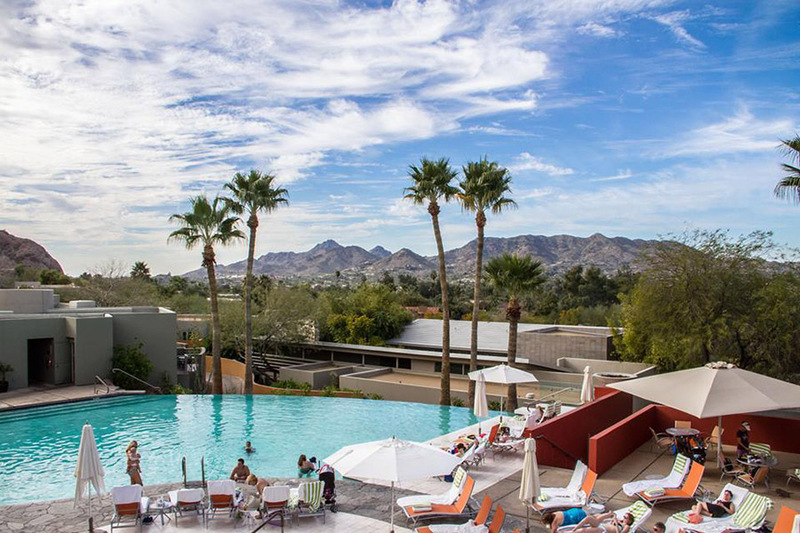 Good to know: Check out Hotel Valley Ho, which draws locals for cocktails and the occasional swimsuit dance party. It's mid-century modern with a martini-glass pool and legitimate Mad Men allure. Sugar Creek. Photo by Jay Carroll / One Trip Pass. If you're in the mood for your own private (off the grid!) Airstream in Big Sur. Route to take: Highway 1 is your only option. Good to know: A guy named Richard built the road there, so he picks you up at the driveway and drops you about a mile in the canyon. He usually provides jam and farm-fresh eggs from the chickens on the property. If you don't feel like cooking, Deetjen's is just up the road and is great for breakfast or dinner. Also, Eslaen Institute is right across the street for a natural hot springs soak overlooking the great Pacific ocean blue. If you're in the mood for coastal views with a small-town vibe and a big city neighbor. Grab coffee and scones at Cibo, a popular bicyclist stop for its house-roasted coffees, seasonal pastries, and avo toast. Kayak or paddleboard tour with Sea Trek, Sausalito's water adventure experts. For lunch or dinner, check out FISH, a casual marina-front restaurant completely dedicated to sustainable seafood. Route to take: US-101 N takes you over the Golden Gate Bridge. Good to know: To see more of Marin County, head to Mill Valley or the Marin Headlands, the "crown jewel" of the Golden Gate National Parks. if you're in the mood for a scenic retreat far away from the crowds of Yosemite, but with with the same feel of being in wild nature. Route to Take: The Sierra Scenic Vista Byway is the only way to go for incredible scenery, historic landmarks, and breathtaking natural formations. Just don't look down. Good to Know: The high elevation means the meadow is full of colorful wildflowers long after the summer's heat has fried the blooms in the low Sierras. John Muir would've loved it here. If you're in the mood for a digital detox of rugged coastline views, hiking through Redwood/Pygmy forests, Anderson Valley wine country, and farm-to-fork dining. Route to take: From San Francisco take Highway 1, the Pacific Coast Highway. Good to know: Little to nil cell reception in most of the county. Stay at St. Orres, a romantic, Russian-style wood carved hotel serving up incredible, freshly foraged meals. If you're in the mood for romantic adventure, divine sea breezes, and views of eagle nests and gray whales. Good to know: Book at the hidden Hotel Pacific in Monterey for courtyards, comforters to kill for, and your own fireplace or the quaint Carriage House in Carmel. Stop into Cottage of Sweets and eat at La Bicyclette and Nepenthe. Locals can whisper the best trails to take to waterfalls that drop into the sea. If you're in the mood for a luxury stop off on your way from LA to San Francisco. Route to take: If you're taking a sneaky break from the winding Highway 1, Paso Robles is right on the 101. Good to know: This is small-town country. Except for a couple of restaurants and an undesirable late-night haunt, you're better off enjoying the luxury of the Hotel Cheval, all rich elegance and nothing like most motels you'll see along the way. It's in the middle of wine country too, which is always a bonus. If you're in the mood for delicious oysters, fresh seafood, and beautiful Northern California scenery. Route to take: Highway One (From SF). You'll pass lots of farms, wineries, and water views. Good to know: Visit The Marshall Store for amazing chowder and Hog Island Oyster Farm for fresh bivalves that you can shuck at your own pace. Both places are BYOB. For a romantic stay, visit Nick's Cove. If you're in the mood for amazing pinot noirs away from the touristy Napa Valley. Route to take: The 101 and 116 will both get you close; River Road brings you in. Good to know: Stay at Farmhouse Inn. They have amazing last-minute getaway rates for those in their Spur of the Moment Club. They deliver chocolate, graham crackers, and marshmallows to your room so you can make s'mores by the fire. They also have an organic spa that was featured in Vogue. Their restaurant is pretty amazing. Other places to go: Arista Winery, Lambert Bridge, Twomey for the tasting room, and Lynmar Estate for the organic garden U-pick veggies. If you're in the mood for a serene surf in the cold blue Pacific. Route to take: Coastal drive down Highway 1 with a detour at the end of the day to a private tub and sauna at the Well Within. Good to know: The aroma of eucalyptus and salt water will clear your lungs and mind, leaving you prepared to tackle another full week of meetings and smart phones. Drop into Poet and the Patriot Pub for a real local pint and Cafe Brazil for breakfast (great coffee and beautiful waitresses). If you're in the mood for rolling hills of wine country, small-town cuteness, and farm-to-table deliciousness. Good to know: Stop at Lancaster Estate for wine tastings in their architecturally stunning underground cave. If you're in the mood for a low-key, no frills beach weekend for the whole family. Route to take: Head to San Pedro or Long Beach to catch a 1-hour ferry or 15-minute helicopter ride. For easy access to the water stay at Snug Harbor Inn, a charming six-room hotel on top of Leo's Drugstore. Park yourself in a plush lounge chair at Mediterranean-style beach club Descanso Beach Club. Or get out on the water with kayak and SUP rentals. Stop by Bluewater Grill to sample the island's best fish tacos. Good to know: Head inland on a guided jeep tour with Catalina Island Conservancy. In addition to amazing views and local history, you'll see the herd of bison that call the island home. If you're in the mood for good food, adult drinks, and laid-back fun in Santa Barbara wine country. Route to take: Head north on America's most iconic highway, Route 101, for two and a half hours. Book one of the renovated rooms at Alamo Motel for crisp white sheets, cowhide rugs, and an on-site wine tasting room run by Municipal Winemakers. For friendly vibes, locally sourced ingredients, and excellent flatbreads and salads, head to Full of Life Flatbread. Sample varietals from the local vineyards at Bedford Winery and Casa Dumetz. Good to know: Feed the birds at OstrichLand USA. It's hard to feel sad when you're staring down the beak of a fascinating (and funny looking) creature. Photo courtesy of 4UR Ranch. 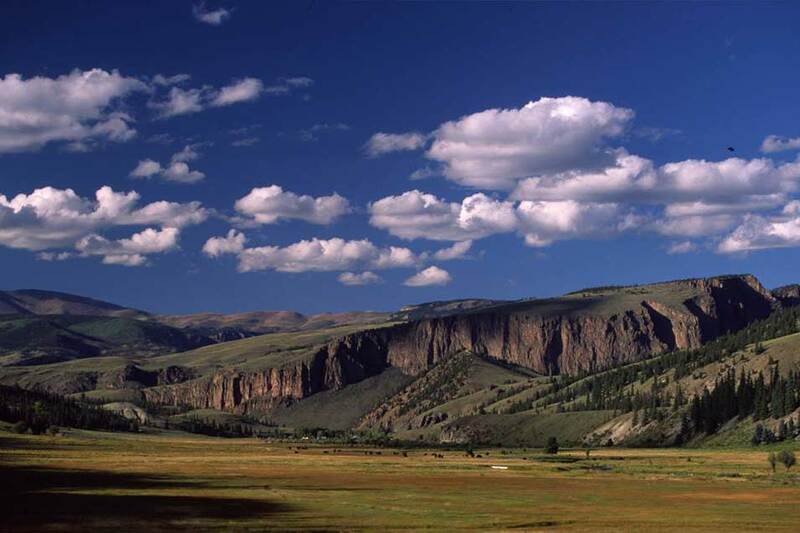 If you're in the mood for horseback riding, rafting, world-class fly fishing, and fabulous food. Route to take: From Denver, take the 285 south to the 112 to the 160 to the 149 and wind your way through three national forests. 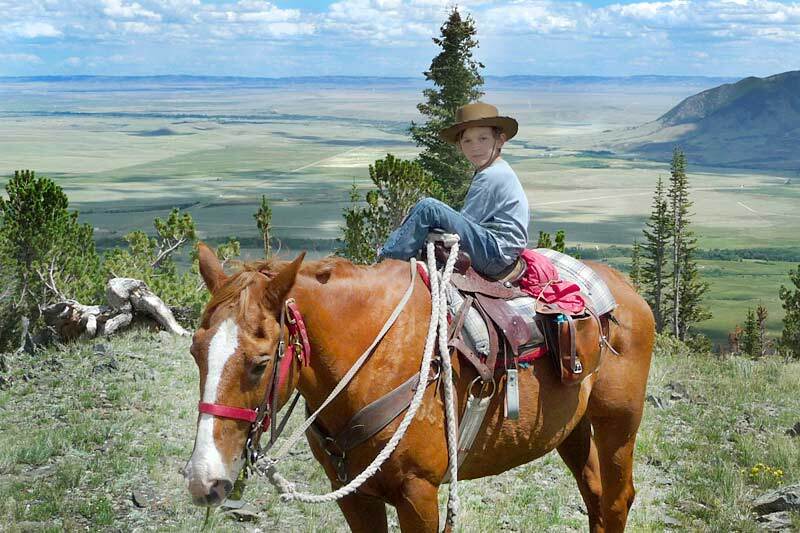 Good to know: You don't have to know anything about fishing or riding to enjoy 4UR Ranch, a gorgeous family-owned property nestled in the Rocky Mountains. The scenery and food are to die for and there are plenty of less athletic pursuits. If you're in the mood for historic, scenic, and Native American areas. Route to take: Cut through the mountains of Wolfe Creek and Durango for a scenic drive from Denver. Good to know: Get to Mesa Verde National Park early so you can sign up for the different cliff dwelling tours offered throughout the day. They fill up quickly. There is a lot of hiking and walking around this national park. You can can explore old Anazi and Hopi cliff dwelling ruins. If you're in the mood to get high on mountain air. The Red Rocks Amphitheatre is an open-air stage nestled in a breathtaking rock structure, an incredible place to experience concerts, movies, even early morning yoga. Eat at Beast + Bottle, Cart-Driver, Hop Alley, and Rioja, but for great jazz alongside an even better meal, go to Nocturne Jazz & Supper Club. Route to take: Iconic Trail Ridge Road is only open in warm weather, and it's a great way to experience the Rockies. Good to know: You may think of Denver as a wintertime destination, but summers are sunny, warm, and full of activity. If you're in the mood for high-altitude serenity, midnight soaks in natural hot springs, fly-fishing, hikes through waterfalls and wildflowers, and community-gourmet meals. Route to take: From Telluride, Colorado, take 145 Hwy to gravel road 585. Don't take your brand new sports car for this road trip. Good to know: Dunton Hot Springs was an 1880s mining town. Now it's a luxury all-inclusive rustic resort of cabins, tents, and gourmet meals. Stay in the Bjoerkmans, Honeymoon, or Well House cabin. 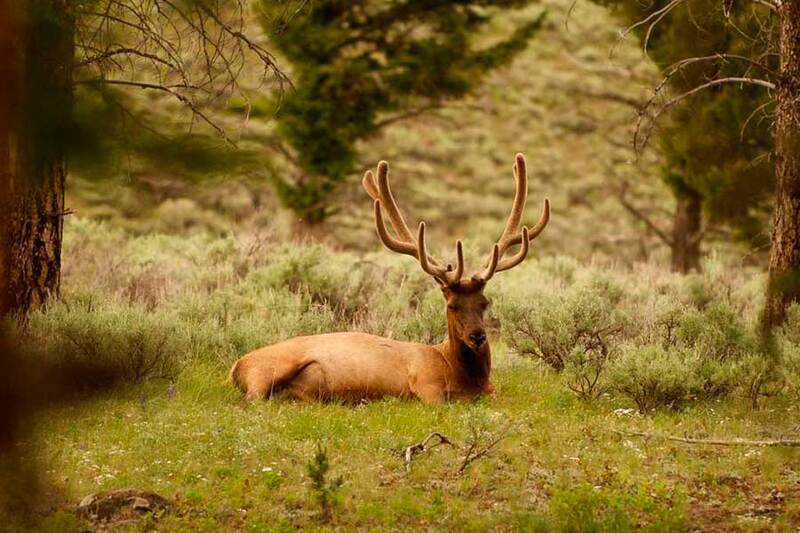 Photo courtesy of Mountain Sky Guest Ranch. If you're in the mood for icebergs, grizzly sightings, and huckleberry shake shacks. Route to take: The Going to The Sun Road, the famous, 50-mile stretch of asphalt, which literally lifts you up to touch the sky as you cross the Continental Divide at Logan's Pass. Good to know: Book a room at Many Glacier, an Alpine-themed lodge nestled on the eastern edge of Glacier National Park. If you're in the mood for hikes through mountain ranges and lots of quite time. Route to take: There are five park entrances (the northeast entrance is what Charles Kuralt referred to as "the most scenic route in America"). Good to know: Use Montana's National Recreation Reservation Service to book different log cabins. Or elevate creature comforts at Mountain Sky Guest Ranch or Rancho de la Osa, a 300-year-old hacienda. 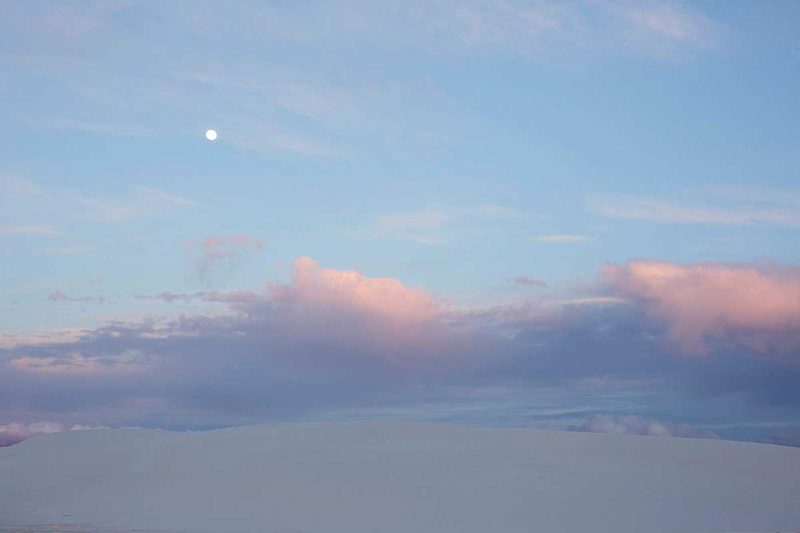 White Sands. Photo by Emily Nathan / Tiny Atlas Quarterly. If you're in the mood for daytime dips in the red clay mudbath and baking in the New Mexico sun and nighttime soaks in private tubs under the incredible night sky. Route to take: Winding US-285 from Santa Fe is especially gorgeous in the Fall. Good to know: Long a hippie destination, this natural mineral hot springs were recently given a more "spa-like" makeover. The springs can get crowded with day visitors on weekends; weekdays and evenings (which are guests-only) are best for totally chilling out. Book a massage. If you're in the mood for unwinding in a hot bath. Route to take: It's a two-and-a-half hour drive down the 25 from Albuquerque. Good to know: Book your bath when you reserve your room at Sierra Grande. Each night at the beautiful hotel comes with a one-hour bath in one of four private rooms (one is even outdoors). The healing natural geothermal waters come right out of the ground at 107 degrees. Now you are hungry. Cafe Bella Luca is a modern authentic Italian restaurant run by a real Italian and just a couple blocks away. If you need even more relaxation, get a deep tissue massage at the hotel. They will wring you out like a sponge. If you're in the mood for feeling like you've reached the ends of the earth. Or maybe even another planet. Route to take: Off Highway 70, a day trip from Las Cruces, Truth or Consequences, or Alamogordo, NM. Good to know: Rent sleds and wax from the visitor's office to fly down the dunes. Bring lots of food and water. Rolling white sand dunes stretch as far as the eye can see at this remote national park where the first atomic bomb was tested. Sunset and moonlit hikes are especially otherworldly. Best for super-contemplative types. Photo courtesy of Oregon State Park. If you're in the mood for breathtaking landscapes and Thunder Egg hunting. 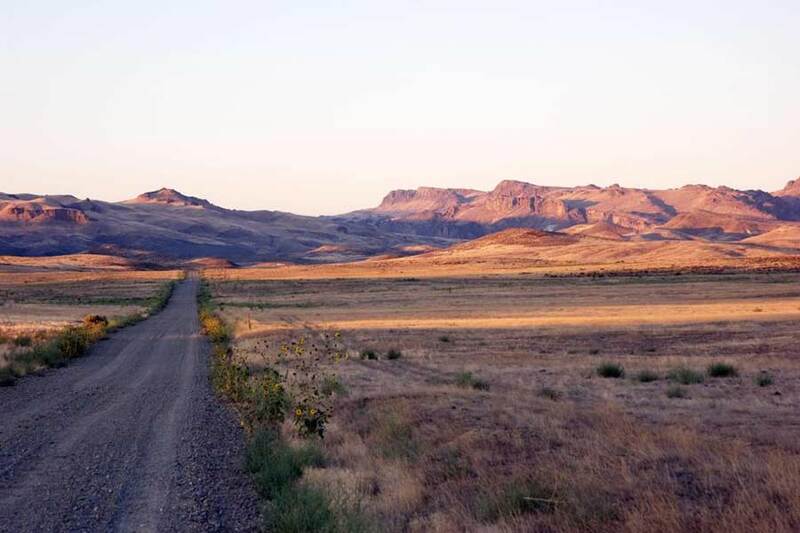 Route to take: Head south on the 97 from Portland and pass through Willamette National Forest, stopping in Redmond, which is just on the borders of two other national forests, the Ochoco and the Deschutes. Good to know: Oregon State Parks have many camping options to suit your desire. Stay in a deluxe cabin operated by the park, camp on a bluff overlooking a small river valley with giant rocks seeming to come from nowhere, or stay in a yurt in at the Umpqua Lighthouse. Cowboy style at The Vee Bar Ranch. Photo by Lawrence LaRose. If you're in the mood for steeds, saddles, and a John Wayne saloon. Route to take: Outfit yourself with boots, hats, and stampede strings at Boot Barn, then drive twenty miles west onto US 130 and set up at The Vee Bar Ranch. Good to know: The kids will love riding, tubing, and gathering round the campfire. If you're in the mood for the majestic presence of the Grand Tetons. Route to take: The Yellowstone-Grand Teton loop is the most scenic drive in the Northern Rockies. Good to know: Stay in a beautiful little place called Wilson (population: 200), about a ten-minute drive from downtown Jackson. Go to Nora's Fish Creek Inn for country-style breakfast, Sweetwater Jackson Hole for lunch, and Million Dollar Cowboy Bar for whisky, competitive pool games, and dancing in muddy boots. Have you seen our list of the World's Most Romantic Hotels? Special thanks to contributors Lanee Neil, Veronique Lievre, Joan Larsen, Courtney Jermain, Jay Carroll/One Trip Pass, Robert Christian Malmberg, James Davidson/We Heart, Stephanie March, Peggy Sell, Joanna Bean Martin, Jay Hinson, Maria Russo/ Culture-ist, Roz Music, Jasmine Moir, Heather Taylor/LA in Bloom.